Ever meet a dog and wonder what breed it is? Where it gets its looks? Its non-stop energy? Every day dog owners across America speculate exactly what their mutts are made of. 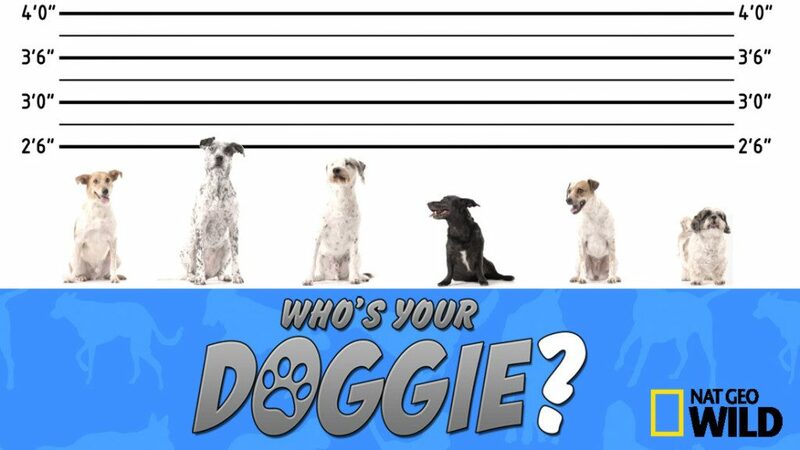 ‘Who’s Your Doggie?’ finally has the answer. In this one-hour special we take six dogs and dig deep into their family roots. After owners explain their mutt’s curious behaviors and physical traits, we bring in two dog experts to take their own analysis. Then we settle the score… with a DNA test. Using one of the most reliable labs in the world, each breed is revealed – and the results will shock you. With an almost endless list of breed combinations, ‘Who’s Your Doggie?’ covers the big, the small, the cute, and the down right crazy.